Neighborhood Funding Resources (NFR) has been working with the City of Ecorse to initiate and oversee implementation of a Community Forestry Program, and the planning of and development of a City Greenway System. 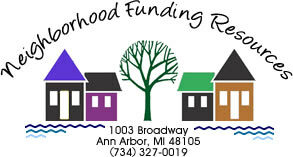 In 2004, NFR, on behalf of the City of Ecorse, applied for and received funding from the Michigan Department of Natural Resources (DNR) Community Forestry Program for planning of Ecorse’s Community Forestry Program, and also applied for and received a Community Foundation Grant for Greenway planning. In addition, a DTE Tree Planting Grant and a DNR Emerald Ash Borer Tree Planting Grant have been applied for this year and further grants for the construction of the Greenway will be submitted late this spring. Both projects, the Community Forestry Program and the Ecorse Greenway Project are currently in the planning phases. To provide education/guidance to the Department of Public Works (DPW) staff, as well as to a newly created high school student/parent-led volunteer Forestry Management Team (FMT), and a Community Build team that will assist and take leadership in the Community Forestry Program. To form a volunteer led Community Tree Board (CTB) to oversee the work envisioned in the plan and to be an ongoing repository of knowledge and education on Community Forestry issues. To work with the CTB on Tree Ordinance development and a system of procedures, particularly on issues of hazard tree management, disease, invasive species and sustainable practices. To create a public reporting and response mechanism overseen by the CTB and the DPW that uses the FMT. It implements tree care and tree protection programs on Public Lands and also assists private landowners with problems and opportunities on private lands within the city.